Founded by two Brooklyn moms, Shooji offers an ultra-stylish solution to mastering one of childhood’s trickiest milestones: the art of shoe-tying. “With instructive diagrams often showing bi-colored laces, we thought, ‘Why not apply that idea directly to shoes?’” says Co-founder Sarah Mills, adding that the concept for two-tone laces was a hit with buyers at the company’s debut at NY NOW this month. 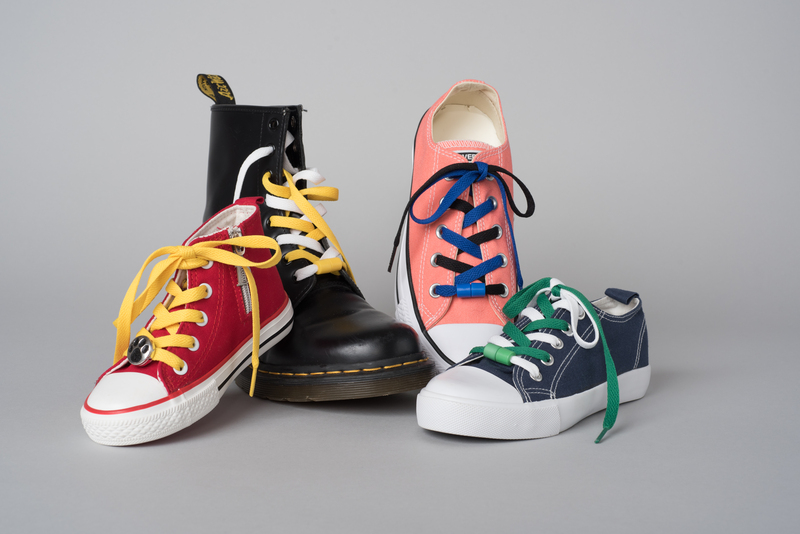 Offerings include Color Pops (SRP: $15), a set of six half laces in three colors that can be snapped together in different combinations, and Love2Lace ($12), two-tone sets adorned with decorative charms. Co-founder Silvia Galombik says Shooji laces aren’t just a great teaching tool but a fun way to accessorize. “We hope teens and adults enjoy the stylish statement of our product just as much as young kids learning to tie their shoes,” she says.